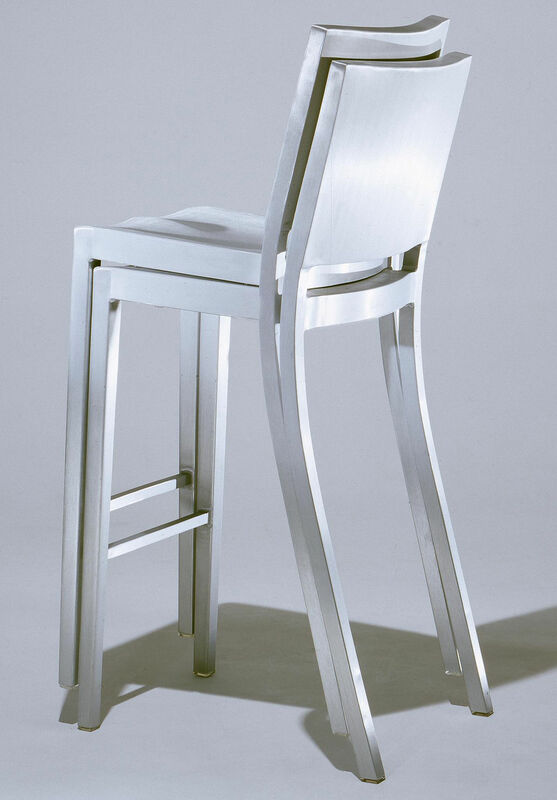 "This stool was created in 2000 by Philippe Starck for Ian Schranger's Hudson Hotel in New York. 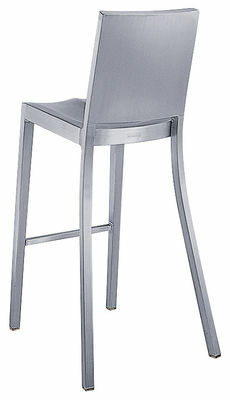 This stool is still used by the infamous Designer for numerous places including restaurants and VIP lounges. 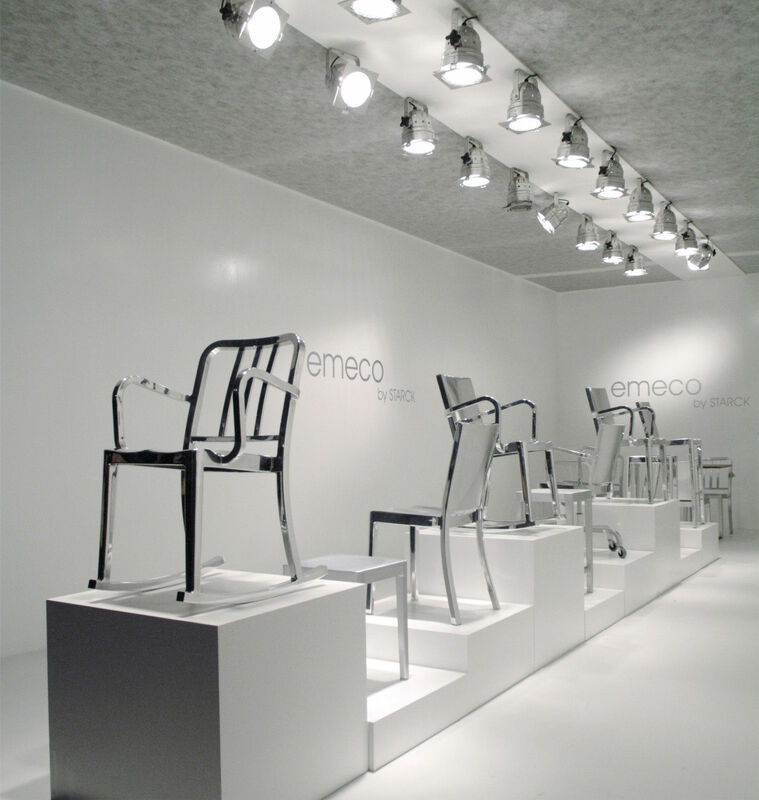 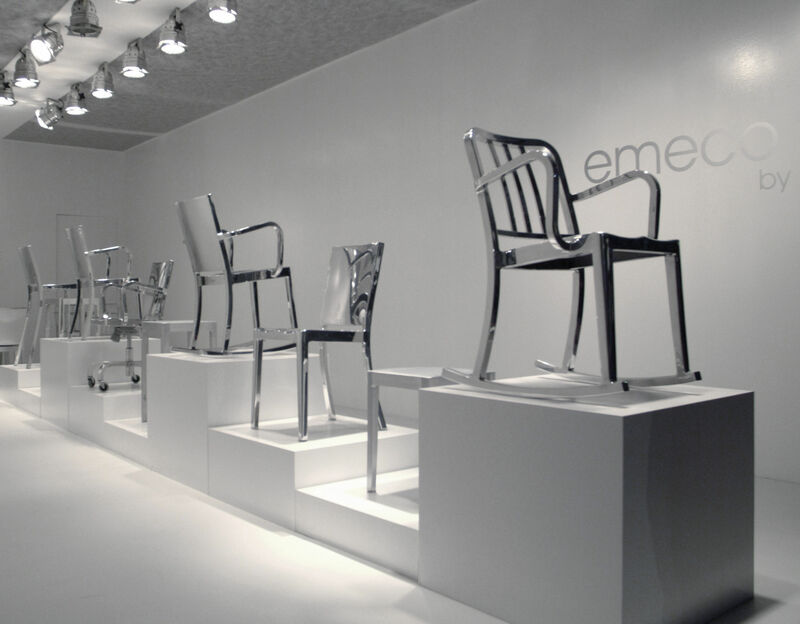 You can use it as an essential and exceptionnal piece of contemporary design in your home. 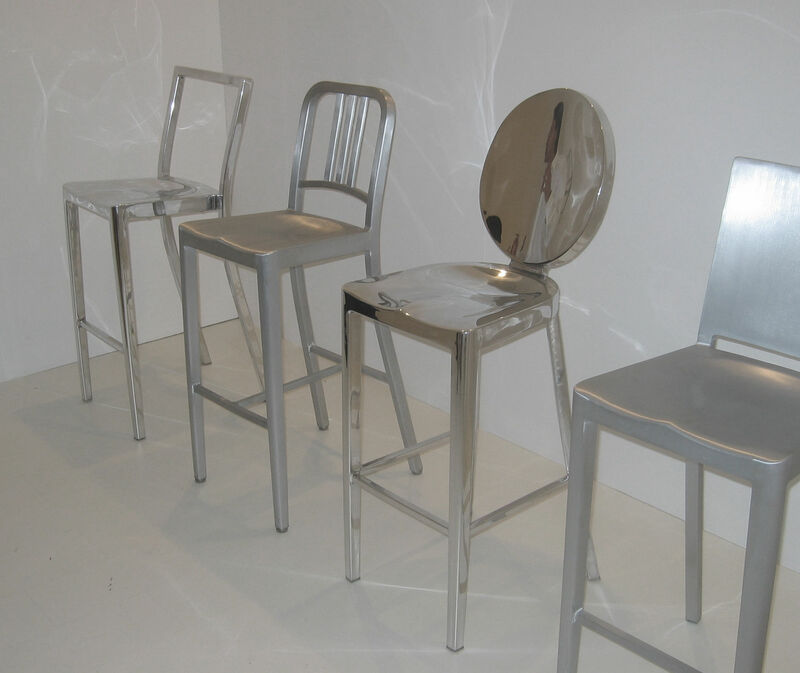 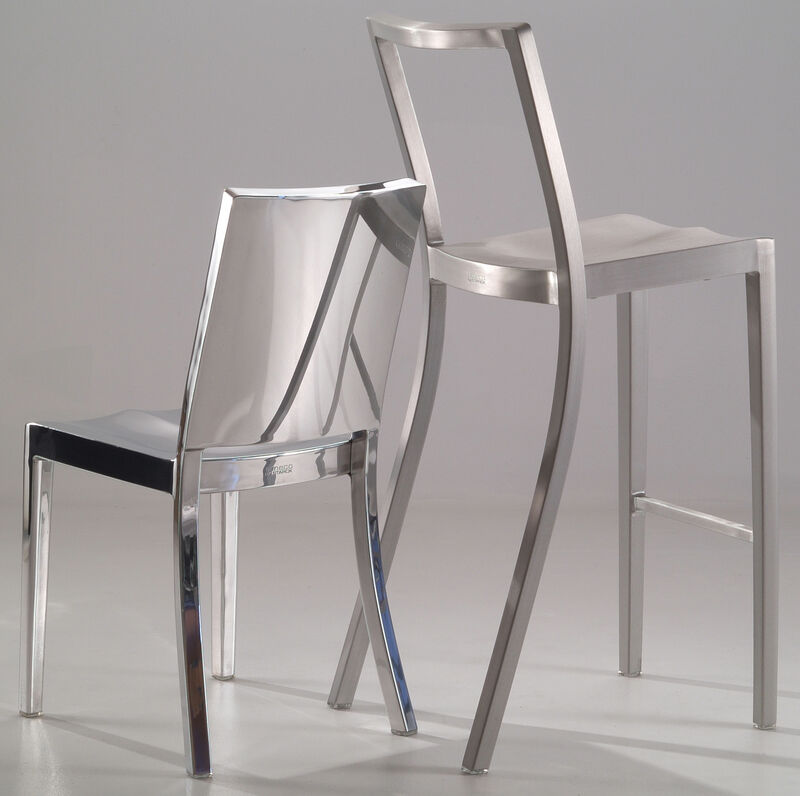 The Hudson collection is included in the design collection of the Museum of Modern Art and won the "Good Design Award" in year 2000. 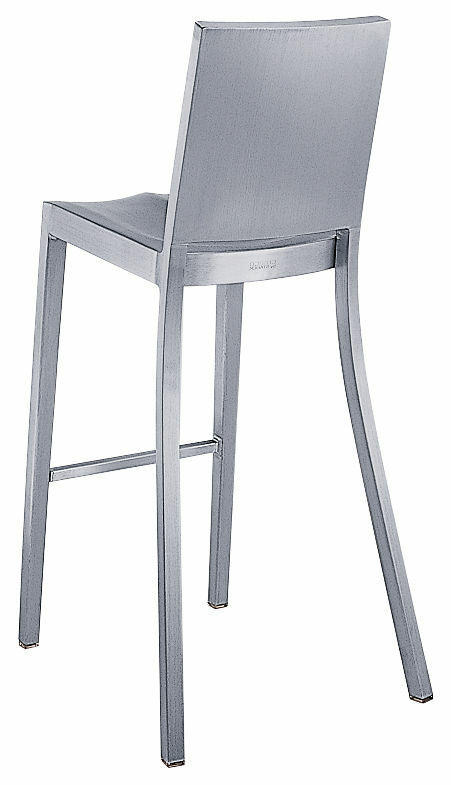 This stool is 75 cm sitting height and is also available in 61 cm sitting height. 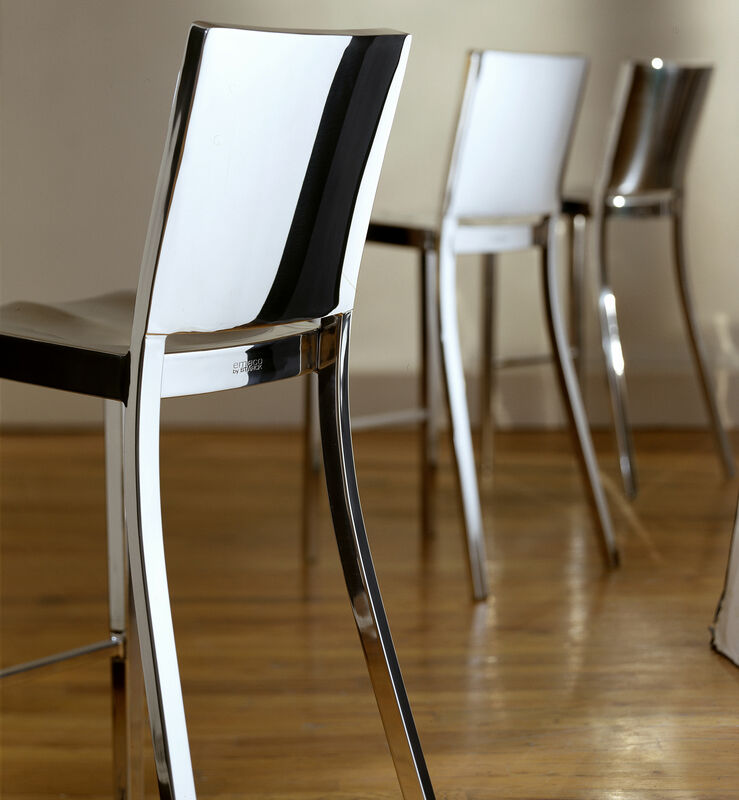 Hudson stool is available in brushed or polished aluminium."